Castleford Tigers have signed Hull KR centre Jake Webster and Hull FC scrum-half Jamie Ellis for next season. The 28-year-old Webster made his 100th appearance for the Robins in Friday's defeat by Catalans. Boss Ian Millward told the club website: "I was looking for a specialist centre with experience and Jake ticks both boxes." 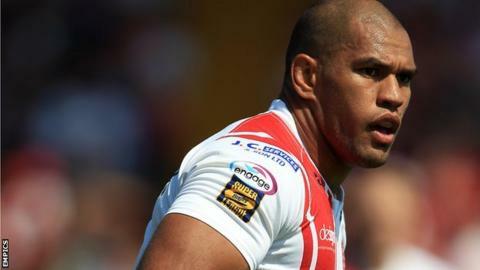 Former Leigh man Ellis, 23, was made available for transfer by the Black and Whites on Monday. "Jamie is a player I think has an abundance of talent, he has a wonderful kicking game and is a player who has played regular Super League with Hull this year. "He reminds me very much of an Australian-style half-back who likes to take the ball to the line," said Millward. Webster, meanwhile, is likely to be paired in the centre next season with another signing, Michael Shenton. It is a combination Millward believes will be among the best in Super League. Assessing Webster's qualities, he said: "He is a damaging runner and can create fear in the opposition's attack with his defensive qualities." Both players will see out the current season with their respective clubs. Meanwhile, Tigers scrum-half Richard Owen has been handed a one-match ban after pleading guilty to punching Leeds Rhinos player Carl Ablett in Sunday's defeat at Headingley.